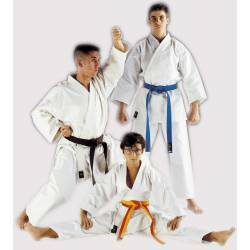 Full range of SHUREIDO uniforms for kata & kumite! 185,00 € Order now on waiting list! 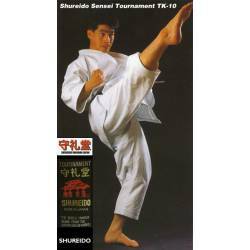 SENSEI - TOURNAMENT TK-10: Superior Heavy Weight Gi. 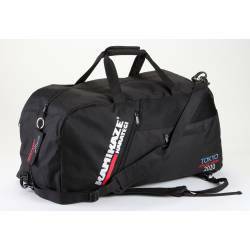 Order now on waiting list! 219,95 € Order now on waiting list! 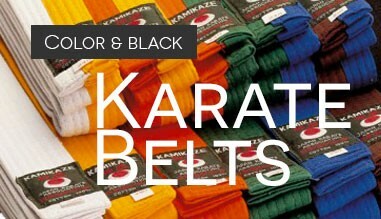 Karategi Shureido NEW WAVE: Highest quality, heavy (cotton and polyester) with special SNAP effect! 184,95 € Upon request: Takes 80 days approx. EUROPA - CUSTOM MADE: Our world renowned gi with the red label. 301,50 € Upon request: Takes 90 days approx. Karategi Shureido NEW WAVE 3, for Kata. Direct import from Okinawa, Japan. 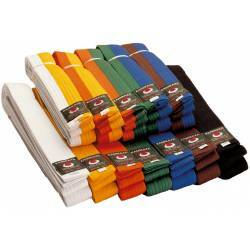 The exlusiv choice for the best kata competitors in the world! Upon request: Takes 90 days approx. 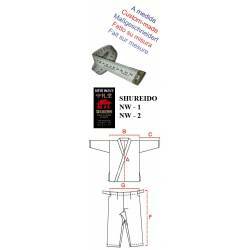 ECONOMIC/KODOMO: Light Weight Gi (100% cotton). 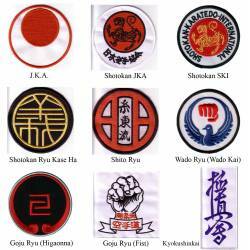 Kamikaze fist protector "WKF" style. Light and comfortable. Red or blue. New shape. All sizes available. 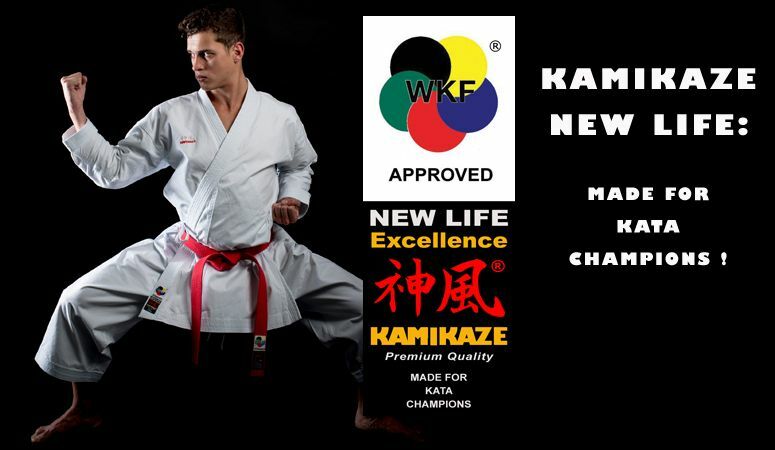 Shin- and foot protector, combined, KAMIKAZE, modell "WKF", Manufactured according to the RFEK and WKF specifications. 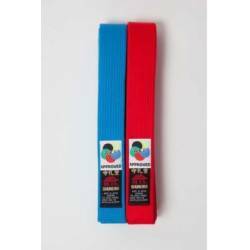 AMERICA: Superior Heavy Weight gi for highest demands at a very competitive price. 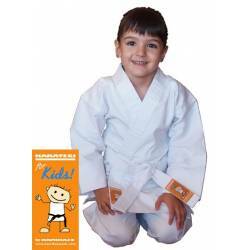 Karategi for KIDS, by KAMIKAZE (100% cotton). Superlight weight. 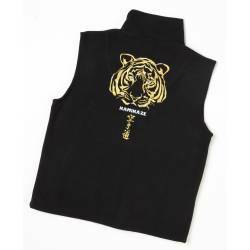 Perfect as first uniform for kids and their mothers looking for the cheapest available uniform. Trousers with elastic. 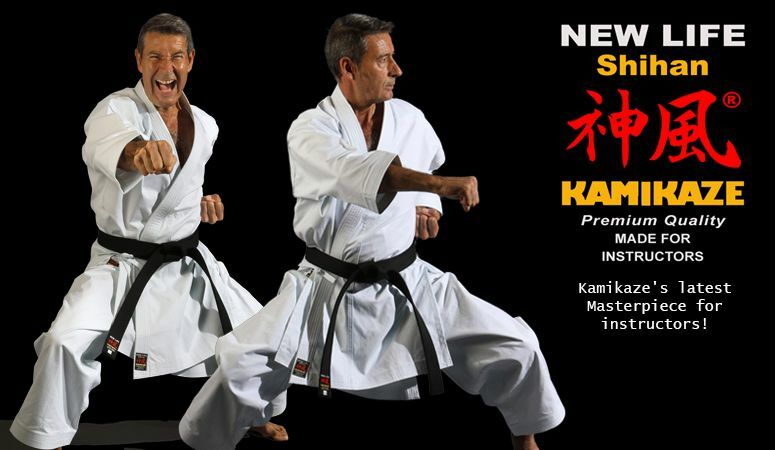 Premierdan.com is probably the biggest online shop specialized only in Karate and Kobudo! Our wide range of approx. 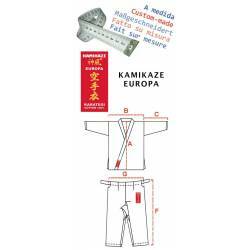 30 different models of karate uniforms covers all needs and purposes. 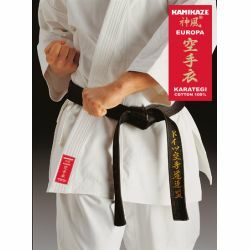 In regards to belts we specialize in personalization, like for example "your made-to-measurement belt in pure natural silk beautifully embroidered in metalic silver or gold thread with your name transcribed into Japanese katakana characters plus your own syle / ryu ha label..." Interested? 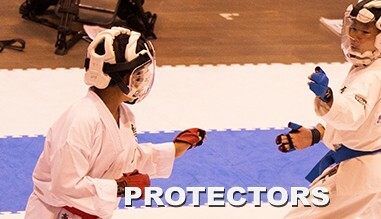 And of course protectors for all uses, associations and federations and ages. 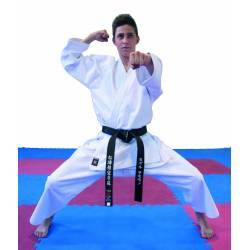 Plus the finest choice of karate and kobudo books and DVD from and for karate specialists worldwide.